Phil Rondeau continued his dominant late model career by winning his 6th track championship and capturing 11 feature wins during the season. It was the 4th time in the last 6 years he posted double digit wins. Along with besting Don Collins and George "Moose" Hewitt for most championships in one division, he tied Bob Potter with most overall track championships. If that wasn't enough, Phil also won 5 features in a row for the second time in his career (1989). 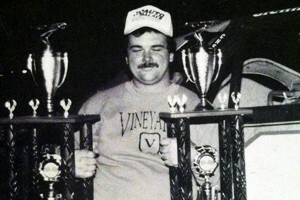 Gerry Young won 3 times, the most by any of LM competitor in 1992. 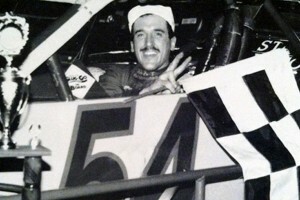 Ted Christopher drove Ron Berndt's North End Auto Parts #54 to the SK Modified track championship – becoming the first driver to win SK Modified track championships at all 3 Connecticut short tracks (Stafford '87, Thompson '88-'89). Dave Gada would win the 2 longest races of the year – winning the season opening Busch Blast Off 92 and the 150-lap SK portion of Waterford 200 – The Showdown in late August. 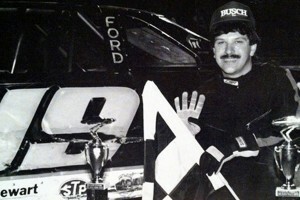 6-time track champion Bob Potter would win an SK Modified race for the 8th consecutive year – the only driver to win in every season since the SK Modifieds debuted in 1985. 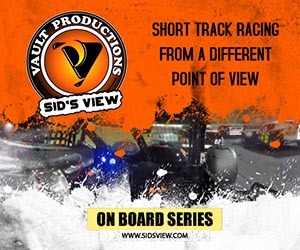 The Limited Sportsman (formerly Strictly Stock) division would inaugurate their newly renamed division with one of the most controversial endings to a point championship race in track history. 2nd generation driver Ed Reed Jr went into the final race – the 20-lap portion of Chill Out '92 – as the division's point leader, 95 points ahead of Glenn Boss. Ed was also one victory away from tying the division record for wins in a season of 6 held by Allan Wohlstrom ('89). When the checkered flag waved, Reed crossed the line first ahead of Boss; seemingly giving him a share of that wins record and his first track championship. However, a post-race inspection by the technical staff deemed his car illegal. Reed claimed the track officials approved his car prior to the final race; but in the end, track stood by their technical staff's post-race decision – giving Boss not only the race win (100 pts) over Reed (DQ=0 pts) but the points championship as well by a slim 5 pts after the final tally. John Faulkner won 3 times and Bud Kuehne won the longest event of the year – a 50 lapper on Labor Day weekend. Joe Machnik set fast time in a time trial event for the Limited Sportsman division. His time of 18.32 bested the previous record of 18.46 set the previous season by Charles Bailey III. Time trial qualifying events for both the Late Models and SK Modifieds were postponed, then eventually cancelled. Mike Favulli won a 25-lap NEMA Midget event in late June – the only visit from a regional touring series throughout the entire season. In the Sunday Stocker Series, the Enduro classes were revamped into the Pure Stocks (8-cylinder) and Mini Stocks (4-cylinder). The features were reduced to 50 laps and now were held under standard feature event rules, including caution flags and restarts. Mark Lewis (Pure Stock) and Bruce Thomas (Mini Stock) continued their dominance of the Sunday Stocker Series as both won the points championships for a second consecutive year. 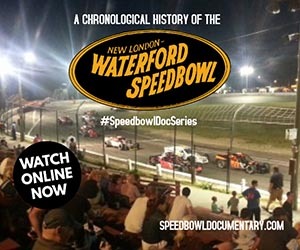 The Legends of the Speedbowl exhibitions returned in 1992. 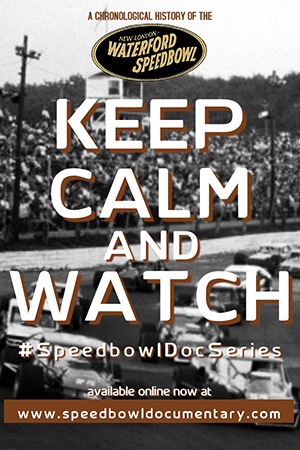 Below is a video of the September 12, 1992 event with former Speedbowl hotshoe Jerry Dostie winning the 20 lap event in Ed Reed Jr's #27 car.